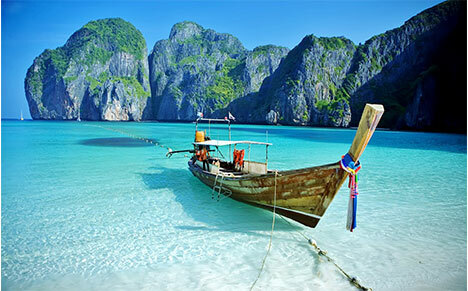 7-DAY SAILING WORK TRIP from PHUKET to KOH RACHA Most incredible Thailand places. We’re very happy to invite you to the catamaran cruise for discovery of Thailand with a route from breath-taking Phuket to marvelous Koh Racha! Get ready for the summer, crystal clear water and white sand beaches! Good plan is as base for a good expedition. However, for us the most essential feeling is a freedom that’s a winds in the sails. With us everyone can feel flexible and free to bring own ideas on how to run the journey! The tour starts from Phuket the place to enjoy spectacular landscape, stunning tropical sunsets and Thai food – exotic as it is – needs no introduction. After Phuket we sail towards the National Park in Sirinat, where the sea turtles patrol the reef and lay eggs on Hat Mai Khao! Working in surrounding of a sunny beach underneath pine trees isn’t bed, right? The next stop is Phang Nga, heart of the Adaman Sea. After hours of work, good to relax in the course around James Bond Island and Koh Panyee! Third day is Krabi; if you are into climbing, hers is something for you! This place offers great opportunity to undertake a land expedition to climb up the mountain peaks. From Krabi we are heading to Koh Phi Phi. Remember we’re into culinary food paradise! Crossing a food tour that’s complete accessible menu features everything from beautifully presented khao soi gai ended to perfectly wok-fried local lobster. Leave one paradise to know another by in the direction of Racha Islands consisting of, Koh Racha Yai and Koh Racha Noi. Racha Yai’s coral reef is most adventurous and exciting for diving. Shall we? From Koh Racha way back to enter the port of Phuket. Sail back to base and enjoy the last moments of our workation in Thailand. Thunder Nomads is usually tax-deductible. To make sure, please consult with your accountant. Why would you like to participate in Thunder Nomads? Current projects you working on? What are your expectations from the tour? How did you find out about the Thunder Nomads? Thanks for sending your apply! In upcoming 1 week our team will contact you to schedule an interview. Feel free to ask any questions! We believe that personal meeting will helps both sides to fully understand your expectations and ideas. Once is accepted, you’ll receive an email confirmation and then…welcome on the board! The next trip in our Coboat is being organised as we speak! We are searching for Co-sailers who share our enthusiasm and wanna join us in this trip. Be part of it and collaborate in choosing our next sailing destinations. We’ll be glad to have you on board!